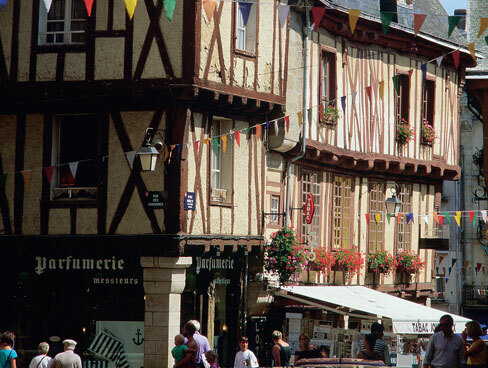 With half-timbered buildings, gorgeous boutiques and a marina leading to the open sea, Vannes seems to have it all. Annaliza Davis explains why this gem in Brittany tops the polls for charm. In French surveys of where people would most like to live, Vannes regularly tops the poll. Why? Above all, there is the advantage of a great natural setting bordering a sheltered sea, and its historic centre has utterly picturesque buildings with cobbled streets carefully preserved. For visitors, its range of boutiques, shops and markets provide great browsing, while its impressive year-round programme of events ensures there’s always a cultural highlight to look forward to. 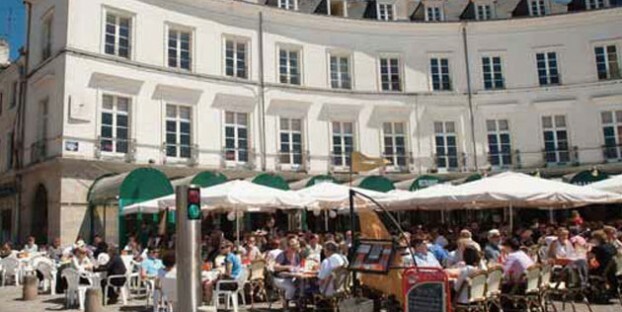 In short, Vannes has a great deal to offer, while catering for all budgets and tastes. Shoppers will adore the diversity here, from budget and high-street stores to designer labels. Explore alleyways and discover gorgeous independent boutiques such as La Cour des Anges tucked behind the cathedral and crammed with sparkling goodies. For food, try the delicatessens and open-air markets on Wednesday and Saturday mornings. 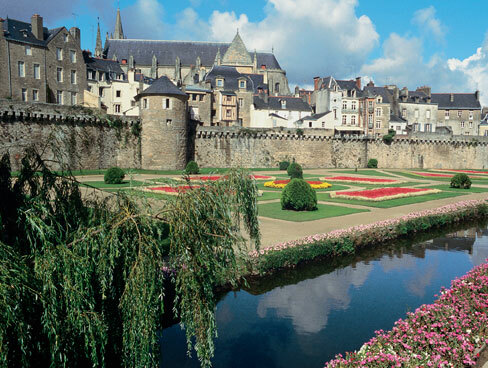 Walking around, you’ll soon see why Vannes has earned the label ‘City of Art and History’, with its cathedral, colourful buildings and quaint marketplaces. Bruno Bodard, Director of the Tourist Office, is justifiably proud of his city and its connections. “Wine used to be exported to the UK from Vannes,” he explains, “so wine merchants once lined the harbour. You’ll also notice plaques for St Vincent and Place Valencia. St Vincent was a renowned preacher from Valencia who, despite speaking Catalan, drew huge congregations. His remains are in Vannes Cathedral and Valencians come on pilgrimage to his relics. “Also, where Rue Rogue meets Rue Noé, look for Vannes et sa femme, two painted granite figures, probably dating from the 1500s. 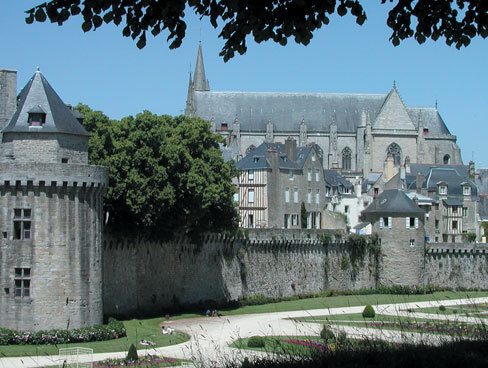 They’ve watched over countless generations and are now our mascots.” Vannes also boasts various museums, including La Cohue, a beautiful museum of art tucked away opposite the cathedral. After a leisurely breakfast, it’s time to walk alongside the stunning ramparts that encircle the city, whose landscaped gardens lead to the historic port and bustling promenade. 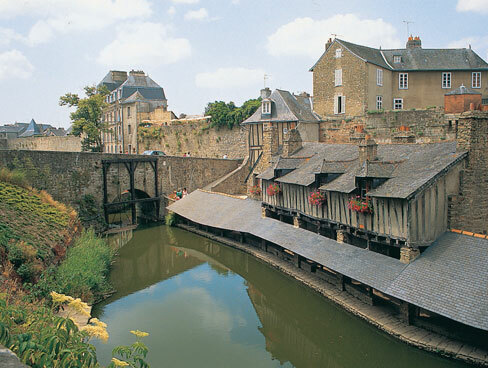 These features are part of what makes Vannes so unique. It’s a good 30-minute walk from the train station to the harbour and Tourist Office; another flat 30-minute walk along the estuary takes you to the tranquillity of Île Conleau. Only connected to the mainland by a dam, this island opens on to the breathtaking Morbihan Gulf and Glénan Archipelago, creating an otherworldly atmosphere. 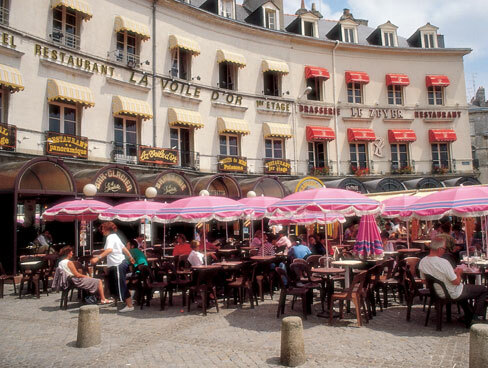 Here, you’ll find Le Roof (a three-star hotel) and La Guingette, like old-fashioned café-bistros once found in Parisian parks – sip a drink, listen to accordion music and be charmed! Once you’re refreshed, stroll back into town and bid a fond farewell, or indulge in a boat trip around the islands or over to Belle-Ile and extend your stay. Vannes is arguably the prettiest city in Brittany, with the added advantages of coast, culture, heritage and modern attractions thrown in. It’s one of those places you visit and always long to come back to; and as it adapts to all budgets, there’s every reason to return!